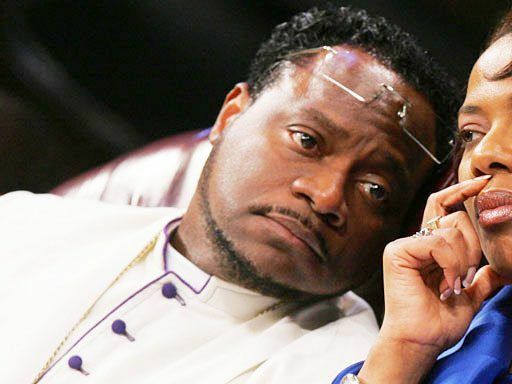 (RNS) Atlanta megachurch pastor Bishop Eddie Long is facing a suit from former parishioners who say he encouraged them to invest in a company that was operating an alleged Ponzi scheme. A dozen former members of New Birth Missionary Baptist Church in Lithonia, Ga., filed suit in DeKalb County court in late January. The suit says that Long’s assistant had been warned that businessman Ephren W. Taylor was running a $3 million capital deficit, The Atlanta Journal-Constitution reported. “If Bishop Eddie Long hadn’t endorsed this they wouldn’t have invested,” Jason Doss, attorney for the former members, told the Journal-Constitution. Long’s church has urged Taylor to repay investors with interest. The Securities and Exchange Commission charged Taylor in 2012 with running a Ponzi scheme, and a civil case against him is pending. SEC officials said he promised to use investments for charity and to help economically challenged areas but instead diverted the funds he received after speaking to churches, including New Birth, to pay other investors and finance business and personal expenses. “He preyed upon investors’ faith and their desire to help others, convincing them that they could earn healthy returns while also helping their communities,” said David Woodcock, director of the SEC’s Fort Worth Regional Office in Texas. Long previously faced another suit from young men who accused him of using gifts and money to coerce them into sexual relationships. He settled those cases in May 2012.